We Bot team (Amir & Zain) has completed first ever Chat Bot integration POC at Mazik Global. 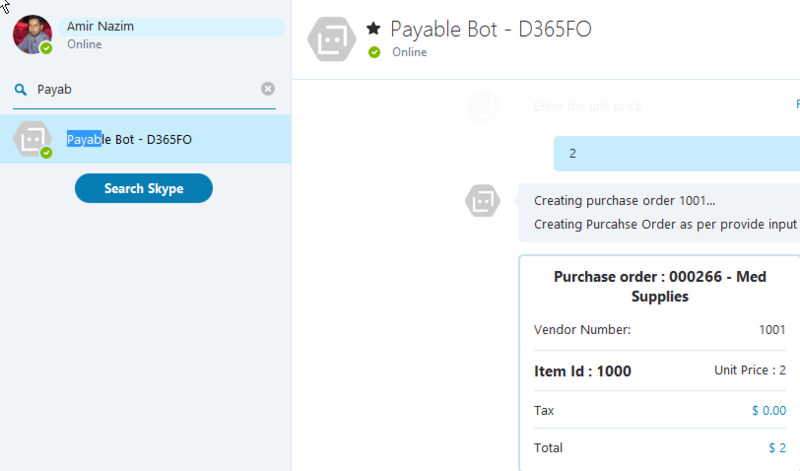 We have publish the bot to skype channel and now Payable operations can be performed from any where using Skype. Here is the user manual if anyone would like to see details on its. On Technical details; how we have completed this. 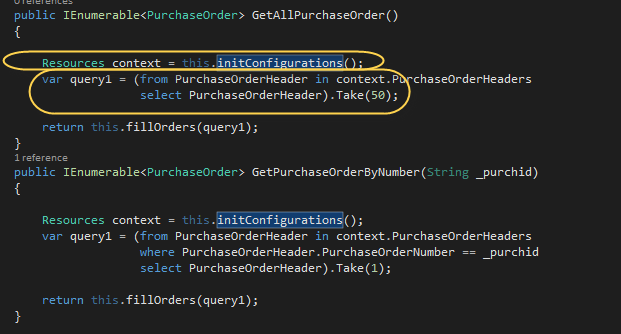 We would divide this to 3 parts, you would need some basic C# Async programming knowledge, You will need to design connector using c# that will talk to AX on simple read/write need of the Bot, third you need to publish the bot and connector to Azure, there you need some configurations and settings. Here are lots of sample projects on Chat Bot, that helps me a lot in making this simple Chat bot. 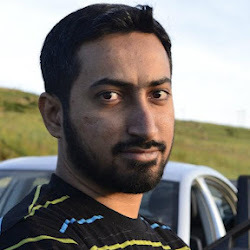 On writing the connector and publishing the App to Azure i have already covered detail blogs previously. that will help you in making the connector and publishing it to Azure. Thanks for reading this interesting topic, I have keep it shot and simple, If you have any further questions or you would like to get any further Technical or Functional details, you can leave a comment and i will try to respond ASAP. 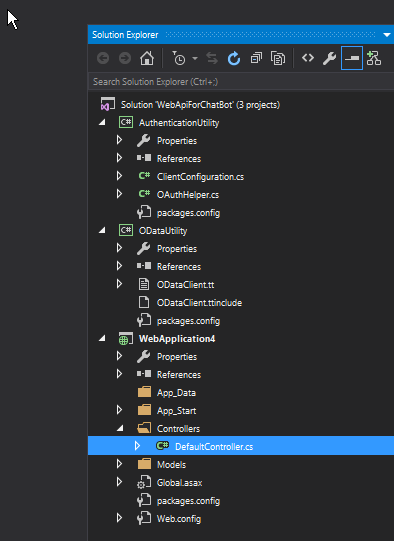 To start with, we need to add few dll references on Web api project. 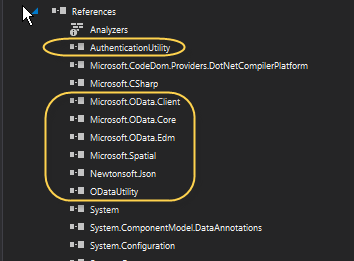 Please make sure Microsoft.OData.Client dll should be of same version what we have referenced in AuthenticationUtility and ODataUnity project(These projects are previously discussed in last blogs). Now with the simple coding part, we need to reference following dll. I have created this initConfiguration method to authenticate my call using Azure, GetAuthenticationHeader method is given on OAuthHelper class, we will pass true for web api projects. 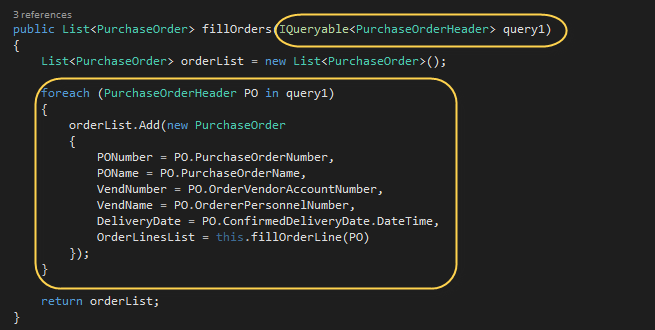 Then i have created this fillOrder method to fill the list based on the query i have read from Dynamics ax 365 for purchase orders. 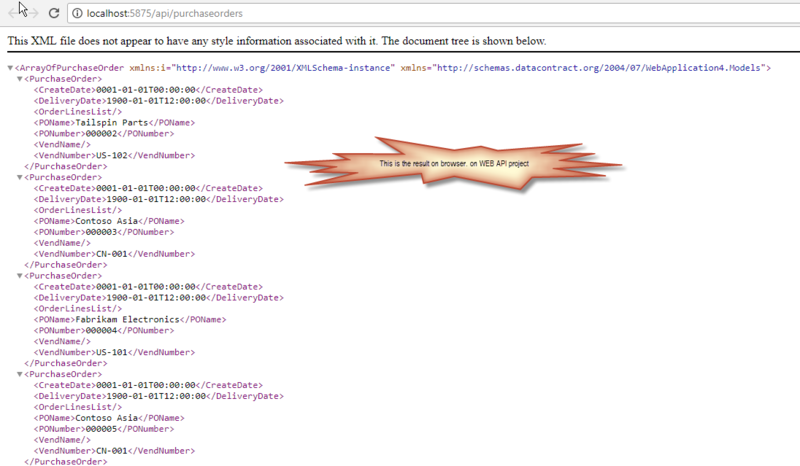 This is the main web api method for reading the purchase orders, i am reading top 50 for now. After all this simple coding and all the configuration effort, when i click run on the project, i got this cool browser with my results of orders. 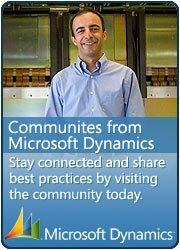 Object is to read data from Dynamics ax 365FO data entities using Web Api project. Extract the project, you will see different samples. 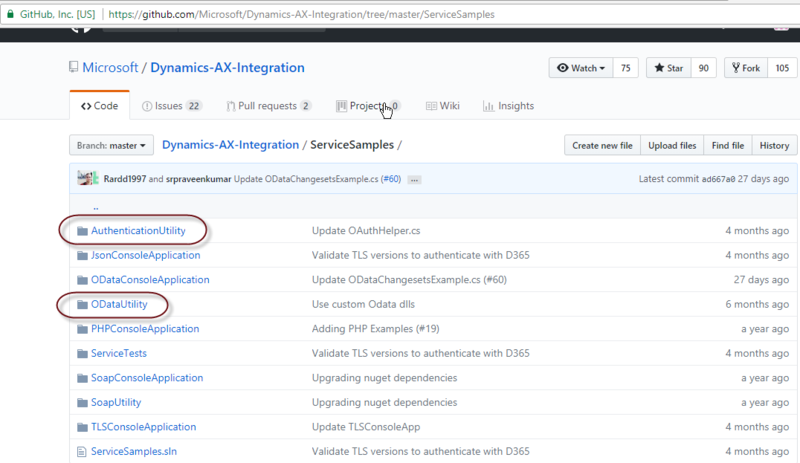 Step 2: We will copy two projects AuthenticationUtility and ODataUtility and move to the new web api project we are going to create. New project structure will look like this. We also need to add the reference of dll of two projects AuthenticationUtility and ODataUtility to our new projects. 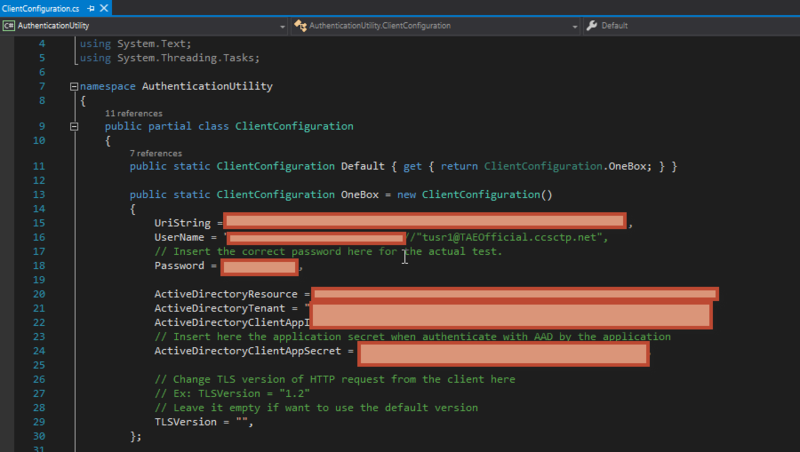 There is a class ClientConfiguration in AuthenticationUtility project that is required a configuration change and requires to set following attribute from your Azure subscription. 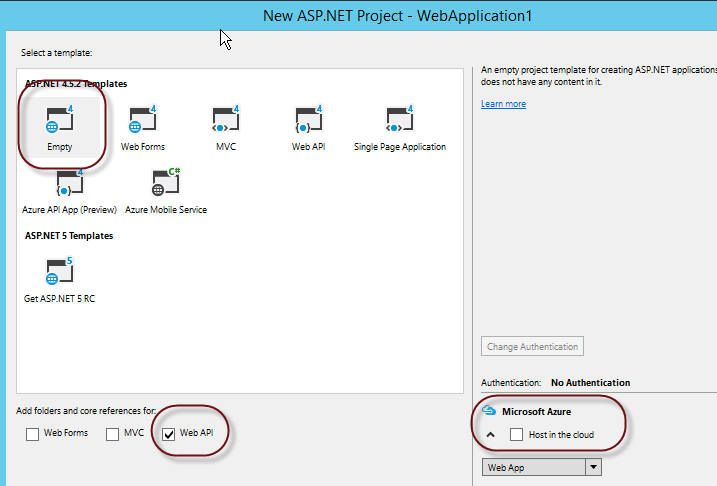 How to setup web api project app on Azure and what are we needed to setup the app in Azure. I will be covering code side also on which i will demonstrate how we can consume OData entity. Posting Invoice from Sales order/ Purchase order.